The library's ebooks are just killing me! I seem to get more as fast as I read them! I read Stealers of Dreams by Steve Lyons, which is another Doctor Who book. This one has Nine, Rose and Captain Jack landing on a planet where people can't lie, tell stories or make up fiction. At first it seems like it is just a government crackdown but the Tardis team begins to see people actually go crazy from imbibing fiction. 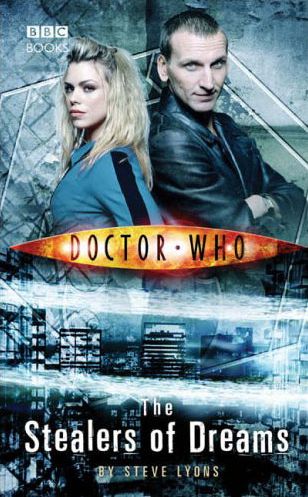 When Rose has problems, Jack and Nine work to save her. I liked this one ok but most of the time the trio is separate which is less fun. overall a 5 from me.